Seven young composers are enjoying a rare opportunity this week in Minneapolis: hearing their work performed by the Minnesota Orchestra. 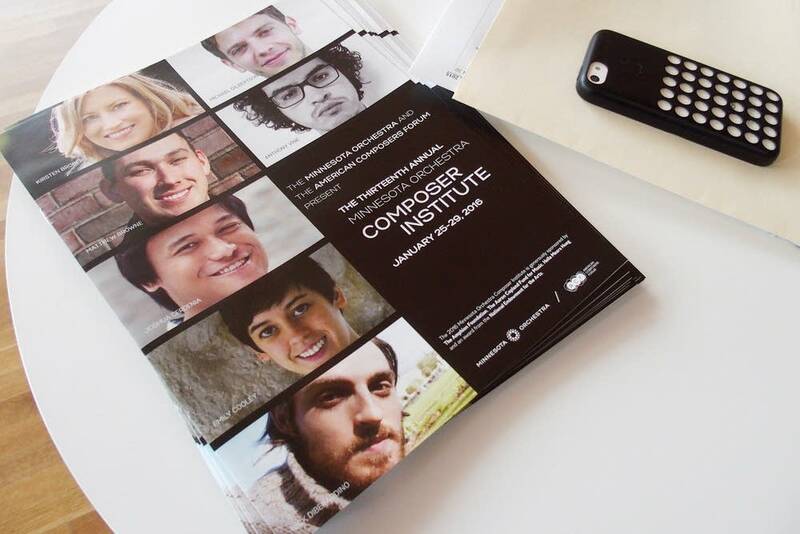 It's part of the orchestra's Composer Institute, which looks to nurture another generation of new musicians. 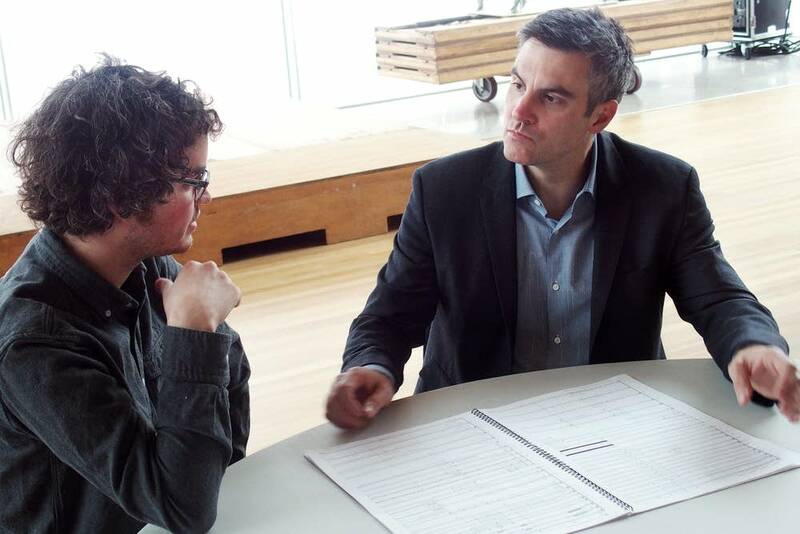 Composer Institute Director Kevin Puts has a simple aim for the weeklong session: "I am hoping, in the end, to launch careers for these composers." And how will he do that? Through five days of seminars, discussion and rehearsal, topped off with a concert. New orchestral composers face a big challenge: how to get their work actually performed. "The way to get orchestra performances is to prove that you can write for orchestra," Puts said. "But if you never get an opportunity, how are you going to do that?" Puts won the Pulitzer Prize for the music he wrote for "Silent Night," a commission from the Minnesota Opera. He also wrote the music for the operatic adaptation of "The Manchurian Candidate." Much of what he shares with the young composers he learned through trial and error. The seven participants this year come from a group of about 180 applicants. As part of the program, Puts sits down with each one individually to go through the score in detail. The week's most daring piece, Puts said, is "Transmission," by Brooklyn-based composer Anthony Vine. The composition uses sound from a number of radios as percussion. Puts and Vine talked about the best way to annotate that element on the sheet music that the musicians would see. It's vital to make such notation immediately understandable, Puts said, because for professional orchestras, rehearsal time is precious. "What they really appreciate is when the text happens in real time, like over the notes," Puts said. "Rather than reading a long glossary at the beginning. As soon as they play it, they'll be 'OK, I know what that is.' It'll be fine." Puts warned Vine that the rehearsal can be fast and furious — and overwhelming. "And then suddenly it's over," he said. "And you are just sort of sitting there trying to process what just happened because it goes so quickly and you are trying to retain the stuff that you just heard." 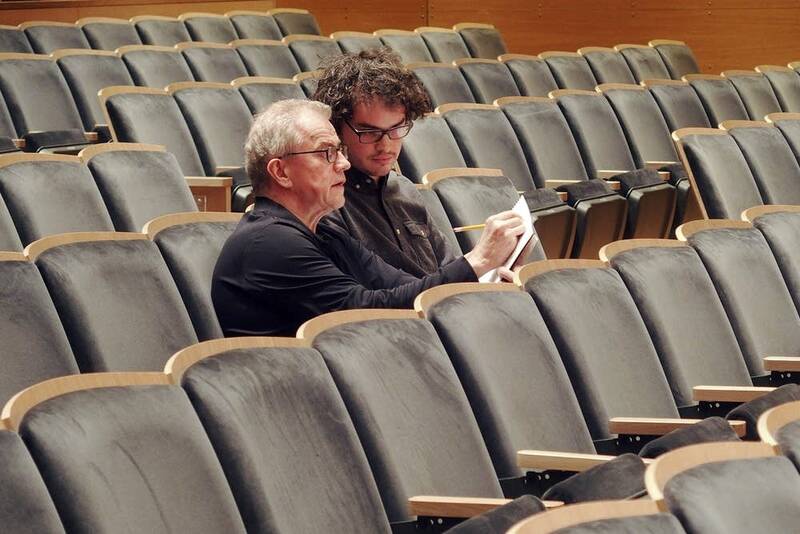 A few hours later, after a session on the legal side of the business, and after each composer has had a one-on-one session with conductor Osmo Vanska to go through the score, it was time for the first rehearsal. Mounting the podium, Vanska gave a few final notes to the musicians, and then raised his baton. First up was "Celestial Dawning," a piece by Kirsten Broberg. She currently teaches at the University of North Texas, but she's originally from White Bear Lake. "The first orchestra I ever heard was on a field trip to Orchestra Hall in elementary school," she said. "And that was one of the first moments I thought, 'Wow, listen to all these colors! It's so exciting. I wish I could make something like that!'" Hearing her composition performed by an orchestra of this caliber is a dream come true, she said. She's learned a huge amount and will use the experience to refine her piece. And Kevin Puts said he takes away useful experiences too. "Some of the composers try some things that I haven't done, and I can see whether it works or not," he said, laughing. "I learn a lot from it." The Minnesota Orchestra's Composer Institute was the first of its kind in the United States, Puts said, and he believes it's the best. You can hear the Minnesota Orchestra play all seven of the Composer Institute pieces during a live broadcast at 8 p.m. Friday on Classical MPR stations.